Robin class is a Key Stage 3 class. We are a mixed ability class with pupils aged from 10-13. We follow the National curriculum and our class motto is to try our best. We wake ourselves up each morning by doing some videos from ‘Go Noodle’, everyone joins in. During this term, our topic is “All about me”. 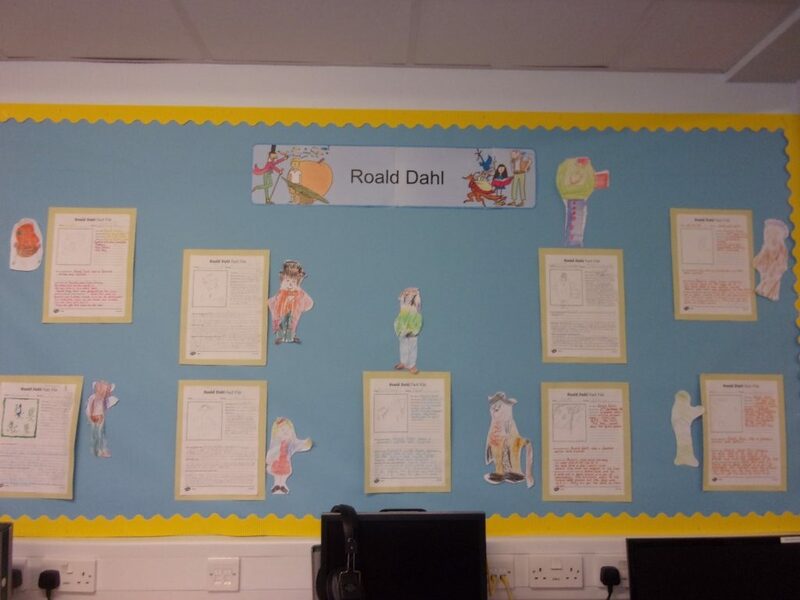 We having been learning about each other and in English we have been learning about Roald Dahl. We have been reading his book ‘Boy’ and will soon be moving onto ‘Going Solo’. We have laughed at some of the stories from his childhood, we particularly liked it when he and his friends put the dead mouse into the jar of gobstoppers. We weren’t so impressed that he and his friends got the cane though. We all decided that would hurt. In Maths we have looked at Shapes and time. We enjoyed a Maths lesson outside where we were finding 2D and 3D shapes. We have also been practicing telling the time with clocks that we made. In Geography, we have been looking at coasts and in particular coastal erosion. We watched news reports of the coastal erosion in Hemsby and Happisburgh. In French we learnt to count to 20, we also learnt how to introduce ourselves, say where we live and how old we are. 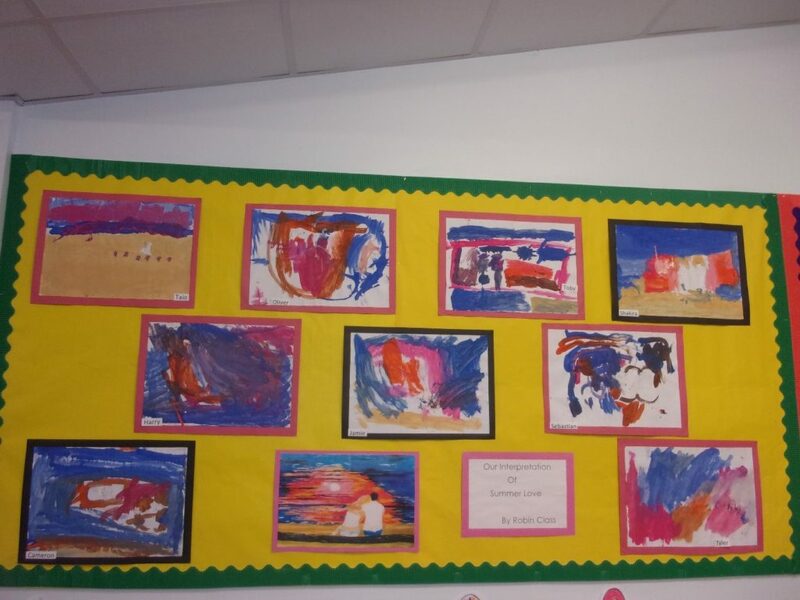 In Art we have been looking at emotions and colour, we were particularly proud of our interpretation of a picture called summer love.